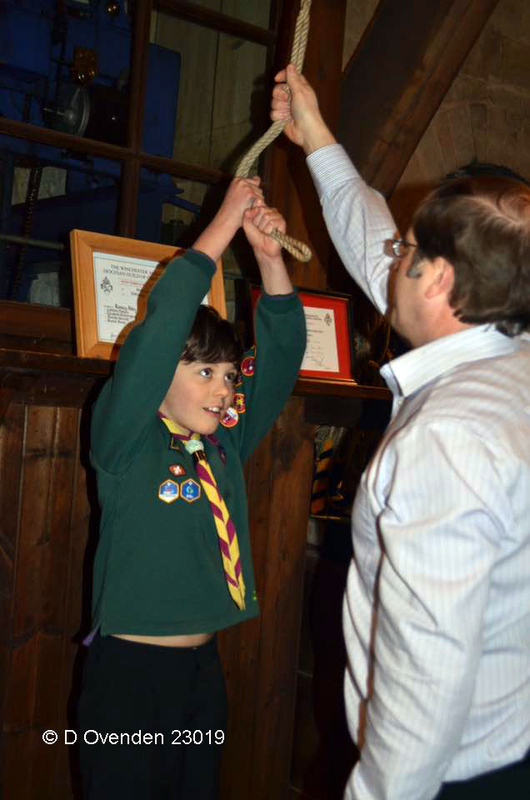 As part of their World Challenge and World Faiths badges the Cubs recently had a look behind the scenes of the 1000 year old Romsey Abbey. 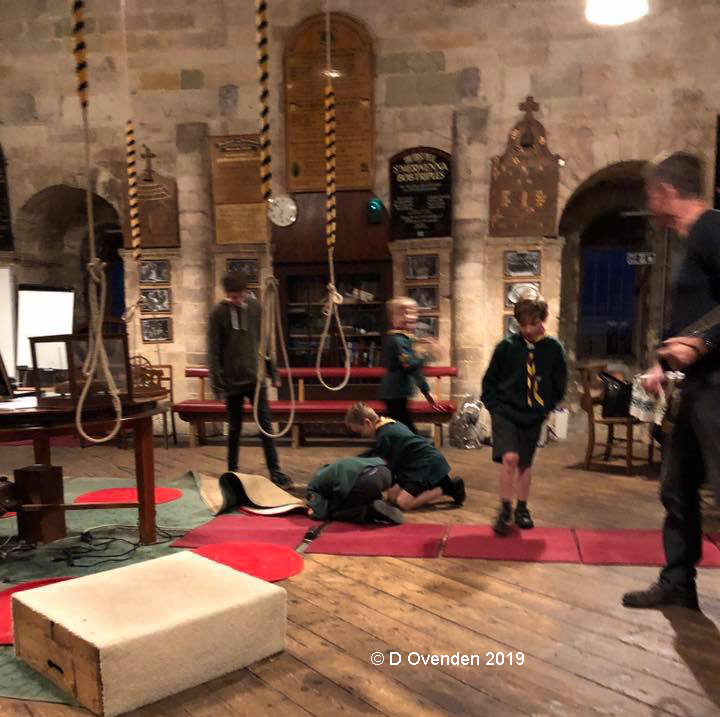 Volunteers were on hand to explain the long and fascinating history of the church – the largest Parish Church in Hampshire – and they were able to visit the bell tower. 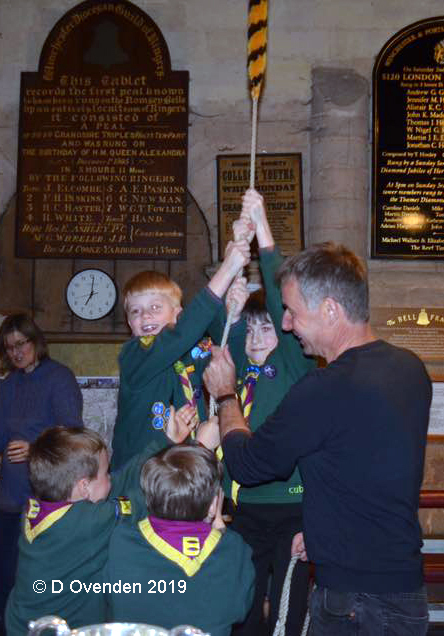 But the highlight was the chance to ring the Abbey bells, which encouraged some great teamwork as you can see from the pictures. Thanks to the volunteers who gave their time to show us round and answer our many questions.